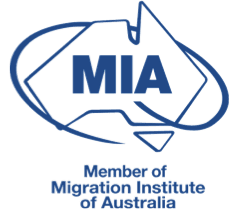 If you’d like the best solution for your Australian immigration issues, you can’t do better than booking a consultation with us. You will come away with a clear vision of the pathway to best Australian Visa for you and the steps needed to get there. During your consultation, you’ll have the undivided attention of one of our experienced Registered Migration Agents or Immigration Lawyers. To assess your situation and your eligibility for a variety of visa options. To advise which Australian visa option would be best for you and any problems/challenges which may affect your chances. To show you how you can increase your chances of a visa grant. To explain the application process and approximate processing times. Tips and tricks and case studies. To provide you with fixed costs estimate, with no hidden extras (and zero sales talk). To provide you written advice and your unique “recipe for success” migration master plan. What kind of Consultations do you offer? We offer Face-to-Face Consultations at our Melbourne and Sydney offices, or Skype and Telephone Consultations with either office if you’re interstate or internationally remote. Our consultation fee is $220.